Can I fly with a gold bar? 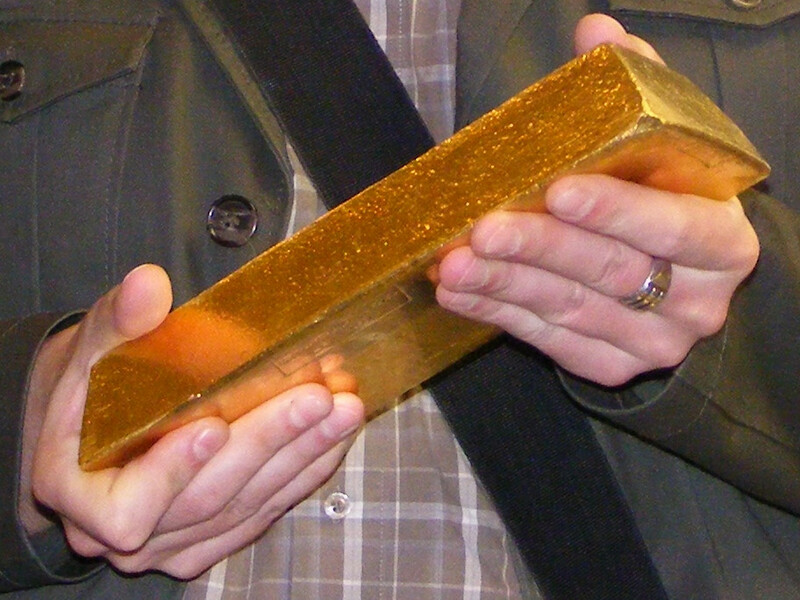 Can I fly with a Good Delivery gold bar? I'll have the certificate that I have been given with it. I have looked on Google and found nothing that suggests it's a prohibited item on an aircraft. It's below the weight I am allowed to carry in person. I'll be taking it to Moscow, flying from Heathrow with BA. Maybe not exactly the answer to your question, but according to this site (see Section XIV, Chapter 71, HS code 7108131000), Russia imposes a 20% customs duty on the importation of gold bars. So unless you have 5.3 million rubles on hand to pay the customs duty (or can break off a fifth of the bar), expect the customs officers to hold on to your gold bar until you come up with the money. Be sure to get a receipt! It's allowed, I have personally seen a passenger who booked a seat for a bag. I then asked the passenger and he said it was gold. I was an operating flight attendant. I also do not recall any rules regarding prohibiting gold onboard, (from an aviation point of view) unless it was in the shape of a knife I assume. Just check with the airline you are flying with in case they have specific rules regarding that (I don't think they would). Finally, make sure about the customs regulations in the destination country, that's what I would worry about. 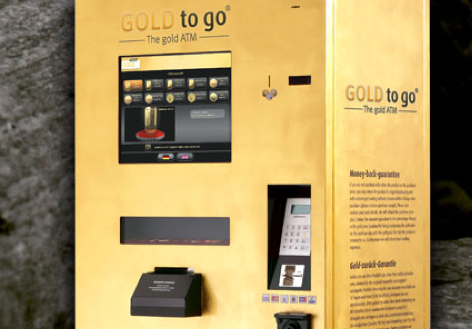 Anecdotally, you can buy gold at a vending machine in Abu Dhabi airport, in the outgoing terminal. Whilst policies at destinations will vary of course, it's highly unlikely to be widely illegal whilst being sold at an airport. You are carrying a half-million dollars in gold on your person and you are flying into... Russia? Keep a sharp eye out. As Nate points out, you may have to pay an import duty in Russia, but apparently there are no restrictions on the British end. In the US, you would have to declare it. Last year, I got into a nasty run-in with ICE who were convinced I was exporting currency. My research corresponds with yours: nothing about carrying metal on the plane. I imagine getting through the security checkpoint is going to be a hassle though. Gold is pretty impervious to x-rays. Not exactly your destination, but Werner Rydl was arrested in Brazil when he was carrying a bar of gold. Also others have been arrested when they were unable to promptly provide the origin of the gold they were carrying. Since you said in some comment that you will just transport the gold but you're not the owner of it... You'd be a mule, or, if you were in Brazil, mula. Not the answer you're looking for? Browse other questions tagged air-travel legal hand-luggage or ask your own question. Can aircrew order me not to stand in the aisle? Can I wear a bulletproof vest while traveling on British Airways from Heathrow? Can I pass through the airport security with a de-activated Bazooka? Are there any laws that prevent reserving two adjacent seats for one person for a flight with Ryanair? Physical appearance and clothing, do they affect the passenger's chances of getting on the plane? Is there a weight limit for carry-on luggage with United Airlines? Are there any laws that prohibit trading on the airplane? ANA domestic carry-on allowance: can I take a laptop bag as well as a rucksack? How to tell if I am required to deplane at a hidden city airport which is not my destination?